The Kodak Scan Station 730EX scanner. Call it a walk-up command center for managing your business documents. Connect and scan directly to your network. 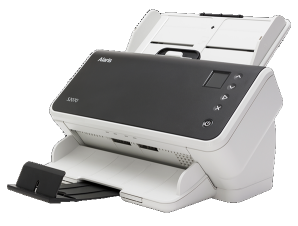 Scan and send documents to a customers fax machine. 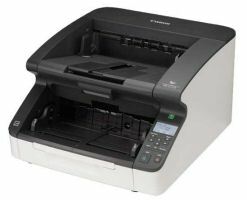 Scanstation 730EX Model -This model has ALL of the features of the Scanstation 710 plus the 730EX comes with a built-in fax modem so you can scan and fax directly to a fax machine. Another feature is that the 730EX can scan directly to a Kofax Front Office Server. with a 6,000 page daily duty cycle. Perfect Page Scanning, deskew, autocrop, content-based blank page removal, automatic orientation, hole fill, edge fill, streak filter, color dropout. Up to 75 sheets of 75 g/m2 (20 lb.) paper. Kodak Feed Rollers & Separation Pads for ss700 Series Scanners Includes: 12 feed rollers and 1 pre-separation pad Usage: these tires are used on the separation module and feed module. They can last up to 200,000 pages on the separation module and up to 500,000 pages on the feed module. The pre-separation pad should be changed every other time you change the feed module, separation roller or change the tires. 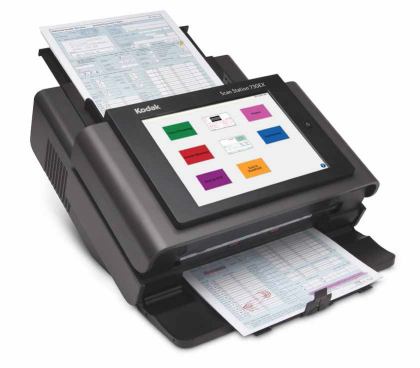 "As a network scanner, the Kodak Scan Station 710 can actually save money compared with slower, less expensive USB-connected models. 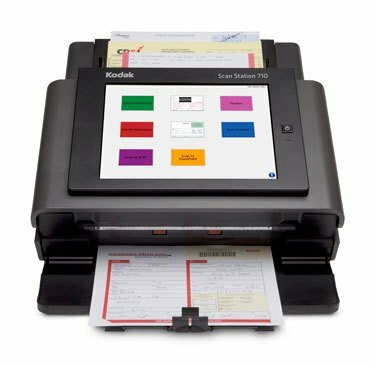 For the same price ($2,495) you could buy a handful of typical personal desktop scanners. 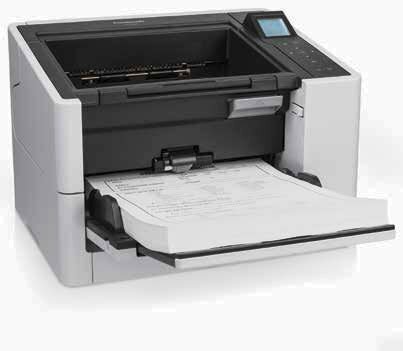 But get the Scan Station 710 and everyone in your office can enjoy the benefits of a 75-sheet automatic document feeder (ADF) and a rated speed of 70 pages per minute (ppm), or 140 images per minute (ipm) for duplex (two-sided) originals. From that perspective, the Scan Station 710 might even be considered a bargain."